Need pillars, I got those. I make pillars in all different sizes and finishes. 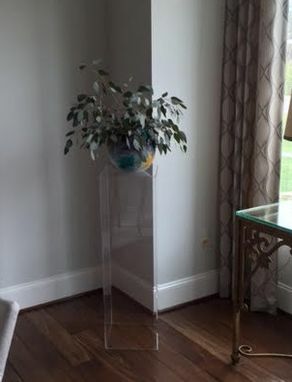 A standard size is 12" sq , in a 1/4" thick clear acrylic they start at $95 for a 24" high pillars, 36" is $145, 48" is $195 and they continue at $50 per foot up to 10' high. I can also make them in white, black, mirror or just about any other color you need. 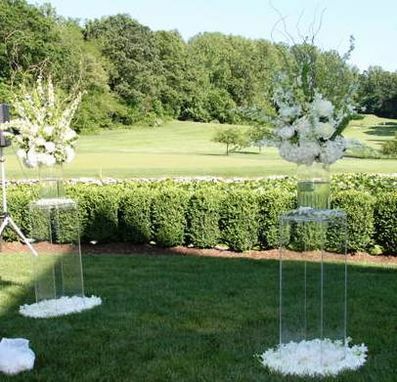 Great for wedding decor, they can also be used for home use to display art pieces, floral arrangements or any number of ideas.